Vincent A.F. 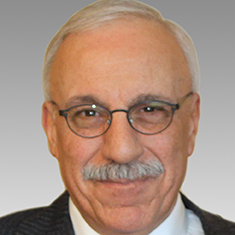 Sergi is Chairman Emeritus of Katten Muchin Rosenman LLP. Based in Katten's Chicago office, Vince drives the strategic direction and growth of the firm. He has chaired the Board of Directors and Executive Committee and was co-chair of the firm’s Compensation Committee. Vince was elected as national managing partner in 1995 and has been integral in shaping Katten into the firm it is today. During his tenure, the firm has grown dramatically through a merger, lateral acquisitions and foreign expansion. He has been instrumental in recruiting talented people to the firm, which has nearly doubled in size since he took the helm. Under his leadership, the firm has expanded geographically, including a considerable augmentation of the firm’s presence in New York and the opening of multiple offices in Texas and California. Vince also spearheaded the creation of Katten’s international footprint with locations in London and Shanghai. He is instrumental in championing the firm’s diversity efforts, leading to many honors and accolades for Katten. The firm is one of only four law firms in the country recognized among the 100 Best Companies by Working Mother magazine and was named one of MultiCultural Law magazine’s top firms for diversity. Katten also earned recognition as one of the “Best Places to Work for LGBT Equality” from the Human Rights Campaign. A member of Katten’s first associate class, Vince joined the firm in 1974. He previously served as chair of the Commercial Finance group, focusing his practice on counseling lenders in all types of financing transactions. Shown below is a selection of Vincent’s engagements.